Thank you for stopping by to read about me. Paraphrasing Julia Roberts in Notting Hill, “I’m just a writer standing before a reader and asking you to read me”. However, I’m sure you’d like to know what makes me who I am. Very simply, I’m a woman happily journeying through midlife. I’m moving from self-improvement to self-acceptance and enjoying being myself. I’m enjoying taking life nice and slow. Despite my non-Indian sounding name (thank my Goan roots for that), I am an Indian and presently reside in Secunderabad, South India. I’ve led an interesting life – or so it seems to me, at least. An Army brat who studied in 7 schools before she was 14, I learned early to adapt to new surroundings. However, I was always shy and diffident. It was in college that I began to bloom and grow and got involved with a movement for young people. Together with other young people, we set up an NGO to work with children and youth in difficult circumstances. Having graduated with a Bachelors Degree in Commerce, I went on to work for an international bank for 7 years. Against all ‘wise counsel’, I quit the Bank to work for Divya Disha, simultaneously pursuing an MA in English Literature. I then taught English in a Junior College to boys in the age group of 16-18. I then joined the communication training department of an international bank where I trained, tested English language skills and designed courses. This experience gave me the confidence to set up a training company to train individuals and groups in corporates and institutions. At 41, I met and married Jose and decided to give up an active career. However, not one to be content with doing ‘nothing’, I started to blog as an experiment. Although I have always dreamed of writing that one book that I would leave as a legacy, it wasn’t until late 2007 that I began to write in earnest. I started with my blog Everyday Gyaan, created a blog called From 7Eight which I share with my husband and then began, Write Tribe. Last year, I started this blog in my own name. Blogging has become my passion and my business. I love how I am able to connect with so many people around the world through it. People like YOU, dear reader! So welcome to my world. Do make yourself at home here. 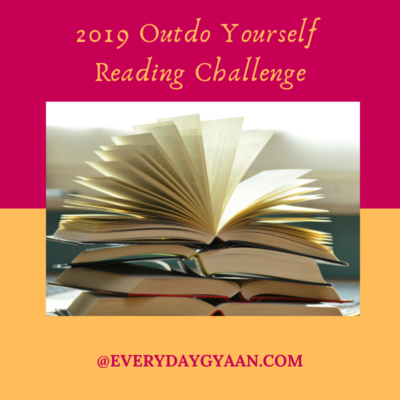 Pull up a chair, sit down and get ready to read and interact and become a part of Everyday Gyaan! I am a communication/blogging/social media consultant. I write articles for other blogs and publications, offer editing services, course design and can support you with your blogging and social media requirements. Please contact me for details regarding services and pricing. Everyday Gyaan is a PR-friendly blog and I’d love to talk with you about advertising, sponsored posts, reviews, etc. Also, if you if you have any queries or suggestions or just want to have a chat do use the contact form below to connect with me. You could also connect with me/ contact me on Facebook, Twitter and Google+.